The SOMS 2.0 (Some Of My Stuff) rolling duffel bag has a 32" main compartment identifying it as the medium sized bag in 5.11 series of duffels. has a center, extendable handle system. 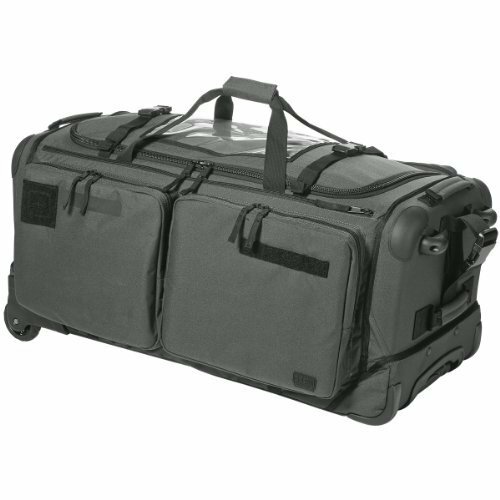 The interior is light gray, MOLLE compatible and features collapsible poles for easy storage. All rolling duffel s can be tethered for convoy transport. features rugged corner guards on all corners, replaceable fiberglass laminate frame, lockable YKK zippers and business card holder and document pocket.